Certification of Extract Resolutions, List of Directors, Shareholding Pattern, Memorandum & Articles of Association, etc. Search for the availability of Trademark/s with Comprehensive study report. Preparation and filing of application for registration of Trademark/s with Registrar of Trademarks. Representation on behalf of the company in hearing, if any objections are raised. Legal Proceedings for infringement of Trademark/s. Surveillance / Trademark watch to save your Trademark from infringement. With increased regulatory pressure for governance, Management need to effectively capture and accurately report on their corporate data, to meet the demands of regulatory authorities. They need solutions to help them manage corporate data to ensure compliance with regulatory filings. In case of Group subsidiary entities, this can result in a significant challenge. Core-Competency is the buzzword in the present times among the corporates. Every organization is working towards establishing its core business objectives in finest detail so as to provide the best and satisfying and value for money solutions / products/ services to its customers. In pursuit of excellence in its chosen field, the non-core activities are outsourced to companies having core-competency in those areas. We at R & A Associates, keeping in tune with the trend and based on our vast experience in Corporate laws of our land, have developed an efficient service offering “Smart Genie” – KPO for Corporate Law Compliances. 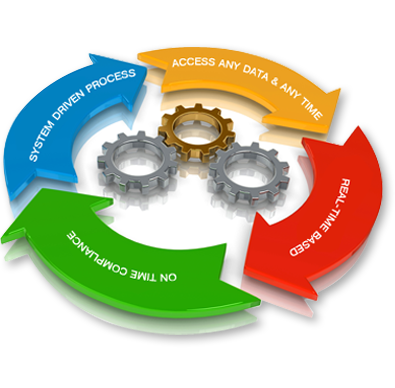 It is a specialized wing of R & A, which operates on a system driven process, with the intention to reduce/eliminate costly and error prone manual processes. Hinders the compliances of self and other compliant Companies too. 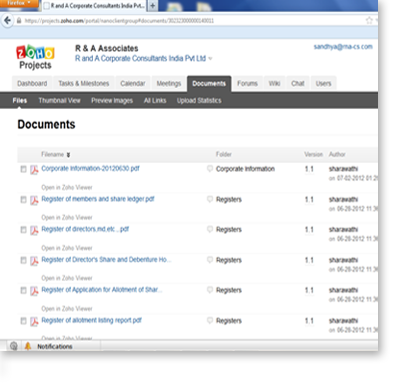 Provide on-line access to real time Company’s information/records pertaining to Companies Act, 1956. Do what you can do the best and outsource the rest. You cannot do today's job with yesterday's methods and be in business tomorrow. 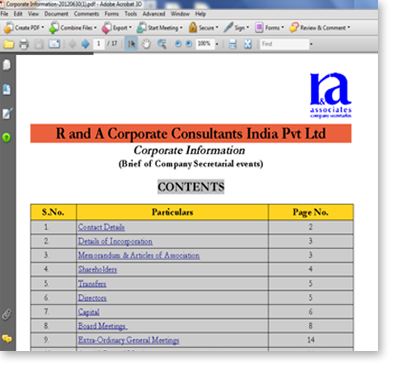 R & A Associates hereby declare that the contents of this website are true to the best of our knowledge and belief and are in conformity with Guidelines for Advertisement by Company Secretary in Practice - Guideline No.4 of 2007 issued by the ICSI. 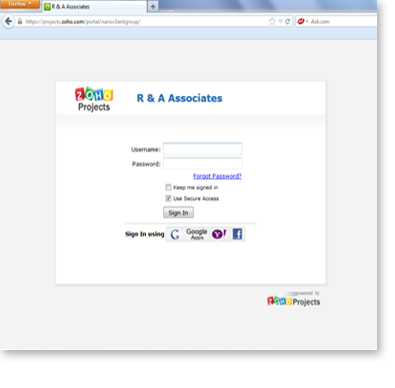 The contents or claims in this website are the sole and exclusive responsibility of R & A Associates. The Institute of Company Secretaries of India does not own any responsibility whatsoever for such contents or claims by the R & A Associates.